Libya's Tajura nuclear research facility is located about 10 miles to the east of the Libyan capital Tripoli. Libya has sought a development and production capability for nuclear weapons but has shown little progress. Libya continued to train nuclear scientists and technicians abroad. The Tajoura Nuclear Research Centre was established by the secretariat of Atomic Energy of Great Socialists peoples Libyan Arab Jamahirya SPLAJ in 1983 to solve problems of economic significance to the country via peaceful application of atomic energy. 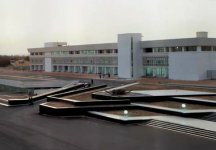 The aim of establishing the center was to create a modern and well-equipped establishment and the necessary qualified and well-trained personnel to obtain a "Centre of excellence" for carrying out fundamental and applied research, advanced study and training in the field of nuclear science and engineering. Basic research tools consist of a 10 MW research reactor, a critical facility, a neutron generator complex, and a TM-4 " Tokomak" with the necessary process, control and measuring equipment and instrumentation for installations. Radiochemical laboratories produce radioactive isotopes for use in agriculture, medicine, geology, biology, and industry. A physical research facility comprising nuclear physics laboratory, solid state physics laboratory, neutron physics laboratory, material science and engineering laboratory, radiation biophysics laboratory, mass spectrometry laboratory, activation analysis laboratory, laboratories for physical research using the neutron generator and in fields having relevance to cover most nuclear technologies and science. 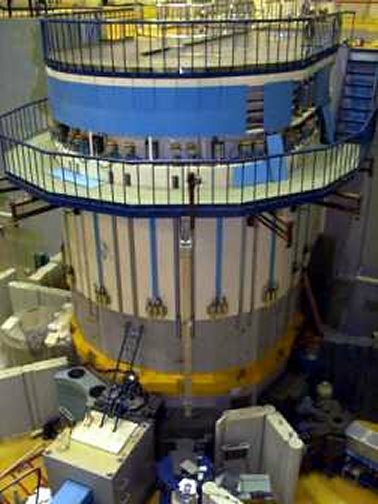 The main facility of the establishmet, is a 10 MW pool-type research reactor designed for isotope production and for fundamental and applied research in nuclear, physics, solid state physics, neutron physics, radiation chemistry, radiation biology, activation analysis, study of behaviour of structural materials under irradiation.The reactor uses ligh enriched uranium (80%) U235 as fuel, light water as coolant and moderator, and beryllium as a reflector. The 10-megawatt nuclear research reactor supplied by the Soviet Union in 1979 was installed at the research center at Tajura near Tripoli, staffed by 750 Libyan specialists and technicians. Many students were sent abroad; a group of 200 was studying in the United States until early 1983 when the United States proscribed training Libyans in nuclear science. The training of the national personnel has been accomplished through education and attachments in both Libya and foreign countries and through on-the job training directly at the site. The TNRC is a growing multidisciplinary research complex. In order to cater to its increasing needs for manpower, training is considered as a continuing activity at the Centre. The 10.000m3/day reverse osmosis desalination plant of Tajura, Libya, was designed and built in 1983 by DVT, Anwendung Deutscher Verfahrenstechnik, to ensure the water consumption of the Atomic Energy Centre of Tajura. This seawater RO-desalination plant is now working successfully for over many years. 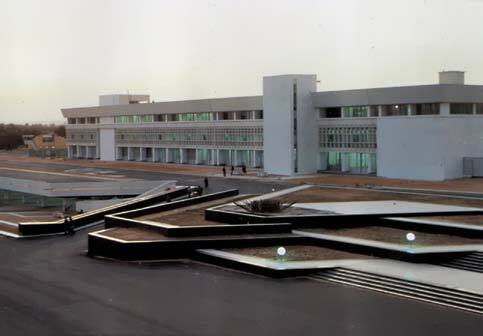 In addition to the research installations, laboratories, computers and library, the Centre is provided with a set of support, facilities and auxiliary structures, power, supply system, transport, communication and service lines; etc., which are required for normal operation of the Centre. In addition, a medical first-aid facility, and a, cafe and parkings and work shop facilities are available. The main machine shop is intended to provide the TNRC with non-standard facilities, stands, equipment assemblies, instrumentation devices, etc., as well as to ensure maintenance and repair of equipment. The main machine shop incorporates the following sections: machining, tinsmith's and pipe fitting; welding and heat treatment; woodworking, plating; pointing and impregnation; glass blowing; precision mechanics; epoxy coating -electric motor winding and testing; testing and inspection; assembly; foundry; and design office. In addition, a set of machine shops and test laboratories are available for repairs and tests of control, measuring and automatic instrumentation. Buildings and structures are designed with due regard for specific conditions of the site region (8-point seismicity according to the 12-point scale). The building housing the reactor complex and radiochemical lab is designed for a 9-point seismicity. The principles used as the basis for the design practically preclude the possibility of core meltdown (the maximum credible accident due to seismicity) and eliminate the probability of radioactive contamination to the environment. 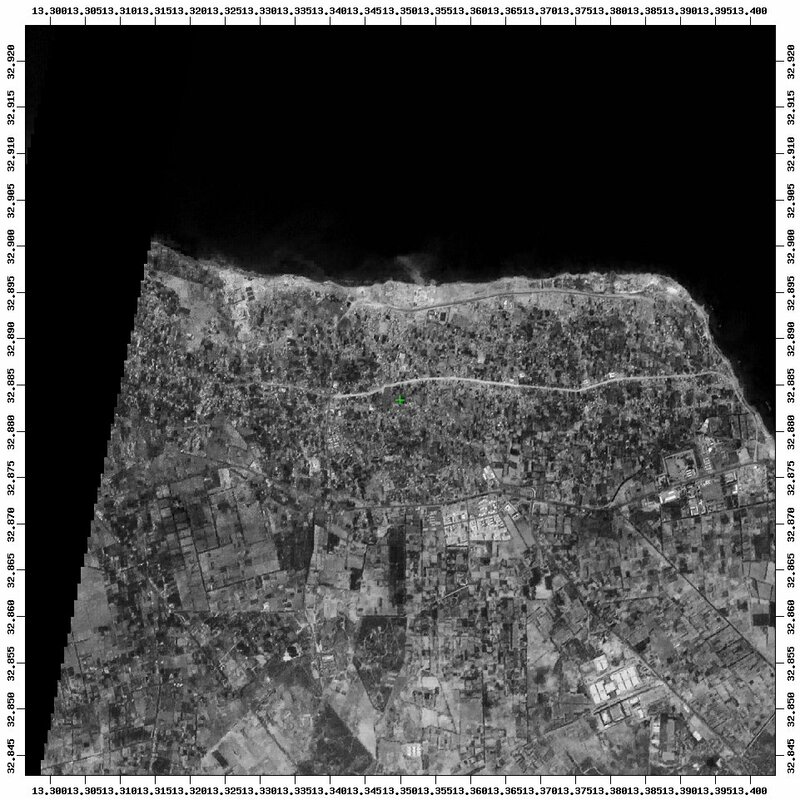 The whole territory of the radiation protection zone is wooded and there are no structures and buildings on it which have no direct relation with the TNRC. 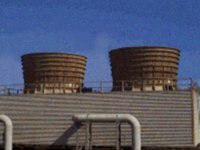 All the liquid wastes resulting from the operation of the Centre are decontaminated at special treatment plants, individual for each group of effluents. 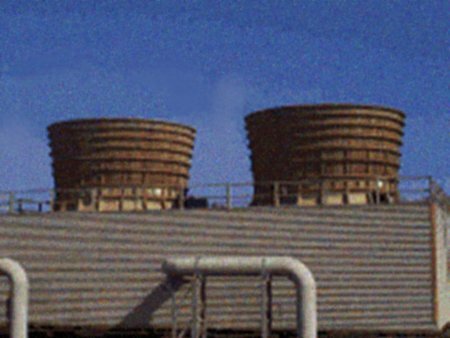 Air containing contaminants the discharge of which is limited by maximum permissible concentration are cleaned at special plants before discharge to the atmosphere. Solid and liquid wastes which are not subjected to decontamination are delivered to the waste burial post where liquid wastes are solidified. The design of storage facilities at the burial post eliminate the possibility of radioactive substance release into the soil. The design provides for continuous monitoring of the premises of the Centre by a special laboratory of the Chief Health Physicist's Service. In March 2004 the IAEA week assisted Libyan authorities with the removal of weapons-grade highly enriched uranium (HEU) stored at the research reactor facility on the outskirts of Tripoli. IAEA inspectors monitored and verified the packing of the HEU for transport and removal on 8 March. The HEU, 80% enriched and in the form of fresh fuel, is in fuel assemblies containing about 13 kg of fissile uranium-235, as well as about 3 kg of uranium. It was airlifted from the Libyan Arab Jamahiriya to the Russian Federation. HEU is a safeguarded fissile material that fuels nuclear reactors for research and electricity production but can also be processed and used to make a nuclear weapon. Russia agreed to take back the HEU and was the original supplier in the 1980s for the 10-megawatt reactor and critical facility at the Tajoura Nuclear Research Centre near Tripoli. Russia intends to blend down the HEU into low-enriched uranium (LEU), making it unsuitable for a nuclear weapon. The $700,000 fuel-removal was funded by the United States Department of Energy under a cooperative US-Russia-IAEA programme called the Tripartite Initiative, which addresses safety and proliferation risks. The Tripartite Initiative returns fresh and spent fuel from Russian designed reactors abroad. The Libyan fuel removal and transfer operation was arranged by the Agency as part of its technical cooperation activities to enhance the safety of research reactors and nuclear materials. In the previous year and a half the IAEA has assisted Romania, Serbia and Montenegro, and Bulgaria to transfer HEU reactor fuel back to its country of origin.